We've been so busy with getting Bones 4 fulfillment ready that we forgot to post this! Check out these cool new metal releases! During February 2019, you'll receive this free Reaper Bones Black Rock Troll for each qualifying order of $40 (in your purchasing currency - USD, GBP, Euro, AUD) or more placed right here on www.reapermini.com! And what's more, for each $40 you spend, you'll receive an additional Reaper Bones Black Rock Troll - $80 for two, $120 for 3, etc. there's no need to place multiple orders on the same day! The FREE Reaper Bones Black Rock Troll is automatically added to your order at checkout when you hit $40...you don't have to do anything else. Want extras? The Reaper Bones Black Rock Troll can be purchased separately here. This Reaper Bones Black Rock Troll is a plastic gaming figure that is sold unpainted and unassembled. This promotional model is available in limited quantities. Offer good while promotional supplies last. 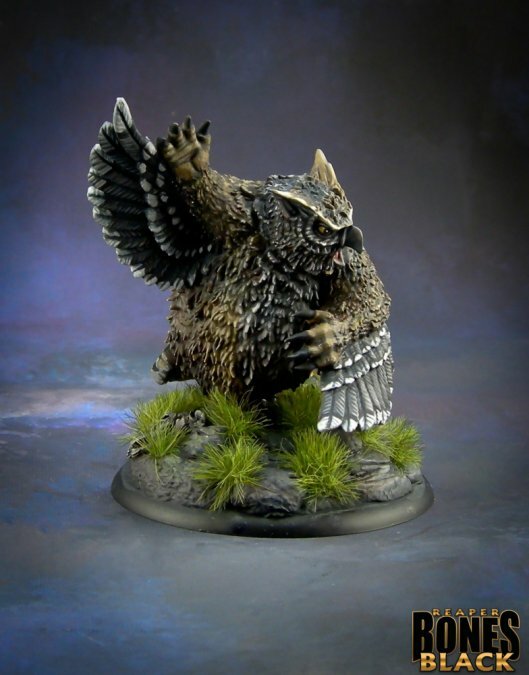 SOLD OUT - The Owlbear has Flown the Coop! We're out of Reaper Bones Black Owlbears! This model is officially SOLD OUT! 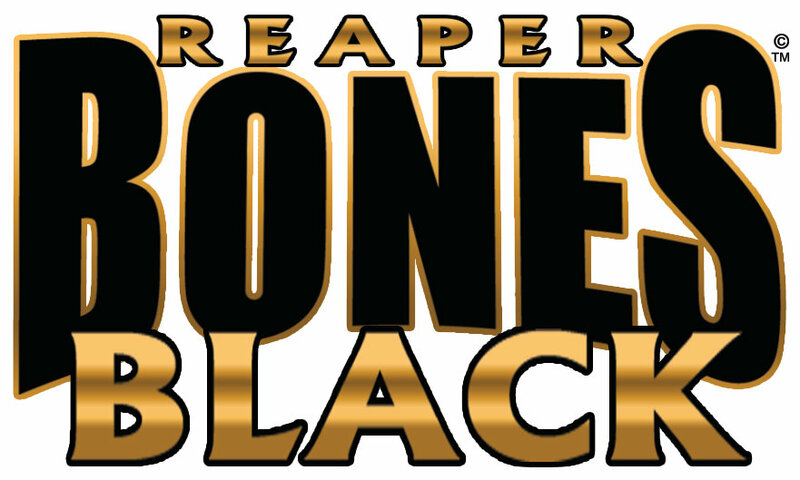 Thanks to everyone who participated in our first Reaper Bones Black promotion! The response to Reaper Bones Black has been overwhelming! If you missed out on the January Owlbear, make sure that you get your February Reaper Bones Black promotional model available this Friday, February 1st! New DHL, Dungeon Dwellers, and Mudgullet! New metal releases and even a few Bones minis! We're launching Reaper Bones Black by giving away nearly 150,000 free Reaper Bones Black miniatures throughout 2019. This will give all of our customers an opportunity to try Reaper Bones Black themselves. We're going to start 2019 off with a bang with this FREE Reaper Bones Black Owlbear! Starting January 1, 2019, you'll receive a free Reaper Bones Black Owlbear miniature for each qualifying order of $40 (in your purchasing currency - USD, GBP, Euro, AUD) or more placed right here on www.reapermini.com! And what's more, for each $40 you spend, you'll receive an additional Reaper Bones Black Owlbear miniature - $80 for two, $120 for 3, etc. (up to a max of 12 free figures). There's no need to place multiple orders on the same day! The FREE Reaper Bones Black Owlbear is automatically added to your cart when you hit $40...you don't have to to anything else. Or, if you prefer, you can just purchase him directly here. This is a month-by-month exclusive promotion. The Owlbear will only be available for purchase in January. You'll have to wait to see what February has in store. For answers to (hopefully) most of your questions, take a look at the lovely FAQ we whipped together for you. Click here to check it out. And if you would like a lovely PDF of our press release, you can download it by clicking here. The 2018 Reaper Christmas Sampler is all gone! Thanks to everyone who participated in our Reaper Christmas Sampler this year! Naughty or Nice, it doesn't matter to us. We love all of our wonderful customers! And remember: less than one week to go to buy the 12 Days minis by themselves. This may be your last chance for while to get these special edition miniatures!